Oven Cleaners Domestic & Commercial Kitchen Denton M34 | YGM Cleaning Company Ltd. If your oven, family fridge, dishwasher or any other kitchen appliance needs some cleaning, there is a really quick and easy way to guarantee that it is cleaned to brilliance and at a great oven cleaning price. Just get in touch with YGM Cleaning Company Ltd. It is a professional oven cleaning company located in Denton M34 and serving the residents, business owners and restaurants in the region for over TEN yrs now. The residential and commercial oven cleaning company offers professional deep scrub of ovens, fridges, freezers, microwaves, dishwashers and other home appliances upon request. You can call to find out how much a deep oven cleaning in Denton will cost you right away and absolutely free. Just call 0161 823 0323 or use the online form to ask for a free price quote for the cleaning service you need , and you will get your deal in up to 2 hours. The oven cleaners in Denton cover the place under and around the oven or other kitchen appliance which is going to be cleaned. They check the oven and if every little thing is OK, they proceed to disassemble it and take off any removable parts, such as: the oven door, control knobs, oven trays, pans, racks, fans, light protector, panels, and extractor filters. They are all dipped into a water and detergent solution which degreases them, disinfects them and makes them easier to clean. Meanwhile, the professional oven cleaners scrub the inside of the oven until all dirt, harmful burnt on carbon, residual grease and grime has been completely removed. The disassembled parts are also scrubbed with the appropriate wired brushes and sponges so that they are cleansed of all the dirt and then rinsed off and left to dry. After that, the oven is assembled back together and tested. The professional oven cleaners from the professional cooker cleaning company will make sure that your personal oven is actually deep cleaned from any kind of dirt, residual grease, grime and harmful burnt on carbon. This will not simply reduce the danger of having the food contaminated with toxic and unsafe substances during the cooking course of action, but will also help improve the life of your oven and reduce its energy usage. So, overall, a good quality oven cleaning will make your food much healthier, tastier and cooking will be more vitality efficient. Last but not least, a greasy oven is a fire hazard in any kind of kitchen, so regular deep oven cleaning is essential for commercial and domestic kitchen cleaning and safety routines. 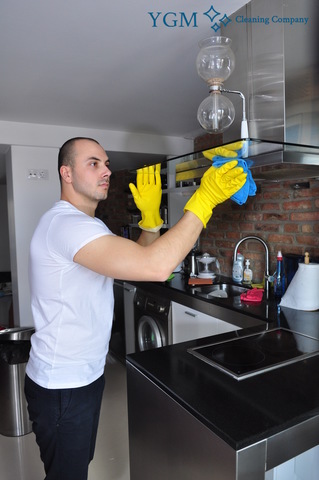 The experienced cleaners working in the oven cleaning company can offer a full one-off deep cleaning of the kitchen, along with a deep cleaning of all appliances, together with all doors, cupboards, floor, surfaces, sink, windows, taps and others. Another cleaning services that are available upon request are: single or double oven cleaning, microwave clean, stove deep cleaning, BBQ racks clean, gas grills clean, ceramic hobs cleaning, hotplates cleaning, gas cooktops, ceramic cooktops, gas hobs cleaning,, electric hob, ceramic hob, free-standing ovens, halogen hob, electric cookers cleaning, Stoves, Rayburn, cookers, Aga cooker, Range cookers, cookware, stanley range cookers, extractors, warming drawers, oven racks, freezers, fridge cleaning. Upon request: all kitchen appliances, tiles and grout, splashback cleaning, canopy cleaning, ductwork cleaning. The company offers deep cleaning of the most common models of range ovens, including: Alpha Range, Rayburn, Rangemaster, Smeg, Stanley, Aga Range Whatever kind of oven, range, stove or other cooking, washing or cooling appliance you may need deep cleaned, be sure you book the services of just about the most top preferred and skilled oven cleaning companies in Denton M34. You can effortlessly book an oven cleaning in Denton for any day of the week, such as the weekends or bank holidays, with no additional charge. Booking more than One cleaning service is much better, since it will earn you huge discounts. At the same time, booking earlier ahead in time will cost less. The booking process takes only a few minutes. Everything you should do is call the 24/7 phone 0161 823 0323 or fill in the online booking form and click send. The customer service will process your booking request and definitely will send you written confirmation ASAP via sms and e-mail. If you want an emergency oven cleaning service with professional oven cleaners in Denton - there is same day booking obtainable too! Other services we offer in Denton M34 Carpet Cleaning Denton, Gardening Services Denton, Upholstery Cleaning Denton.